Nicotine replacement therapy (NRT) is safer than smoking and should be recommended to more pregnant patients who are not able to quit on their own, according to a new review study in the Medical Journal of Australia led by a Ben-Gurion University of the Negev (BGU) researcher. NRT is a medically approved way to ingest nicotine to help quit smoking. Types of NRT include the adhesive patch, chewing gum, lozenges, nose spray, or inhaler. Studies show that 12 to 20 percent of pregnant women smoke, putting themselves and their babies at risk, according to the American Pregnancy Association. While nicotine may not be completely safe for the pregnant mother and fetus, NRT is always safer than smoking. “Smoking during pregnancy is the most significant, preventable risk factor for poor maternal and infant health outcomes,” according to Dr. Yael Bar-Zeev, head of the BGU Center for Smoking Cessation and Prevention, a public health physician and tobacco treatment specialist, and a Ph.D. candidate at the University of Newcastle in Australia. Twenty-five percent of general practitioners and obstetricians never prescribe NRT during pregnancy, according to a recent Australian study. Predominant guidelines worldwide recommend NRT for pregnant women who have been unable to quit smoking without medication. However, prescription instructions such as “only if women are motivated”, “only dispense a two weeks supply” or “under close supervision” send mixed messages. Researchers note that while using NRT during pregnancy improves smoking cessation rates, they may not adequately account for higher nicotine metabolism during pregnancy, and therefore may not adequately treat withdrawal symptoms. The authors suggest using the “strength of urges to smoke” and the “frequency of urges to smoke” as an indication to initiate or increase an NRT dose. 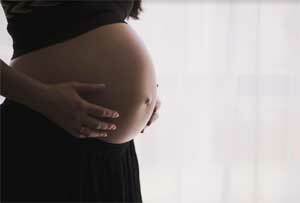 Physicians should also encourage a pregnant woman to use oral NRT in anticipation of cravings. For example, if she is going to be in a situation where others are smoking, using oral NRT 20 minutes beforehand could help. According to review sources, while NRT does contain nicotine, it does not have any of the other 7,000 chemicals found in cigarettes, 300 of which are known to be toxic and harmful, and 52 of which are known to cause cancer. Even women who do not quit smoking may improve their baby’s health due to less exposure to chemicals. Additionally, nicotine from NRT is absorbed in a slower rate than nicotine from a cigarette, which means the user receives less nicotine than while smoking. NRT also increases chances of quitting and remaining smoke-free by 40 percent. The researchers recommend more education and training to improve clinician confidence and skills, and development of better referral pathways, including specialized smoking services, to help more pregnant women quit smoking.